Post Office Van Insurance – Good Deals for Vans at the Post Office? With the name being synonymous with reliability, premium service and national coverage, it’s unsurprising that Post Office van insurance is a popular line of enquiry for those seeking to find a good deal on next year’s renewal. By buying from an established, reputable company, it’s easy to believe that you’ll get a good deal, or at least good customer service. Of course, while this can be true, sadly reputations are not always fully deserved. So before you dive into a new policy on the basis of whether Aunty Sandra’s birthday card arrived on time, it’s worth considering what the alternatives can offer. What does the Post Office offer for van insurance? The Post Office does give some competitive deals, terms and conditions as part of its cover. Perhaps most appealingly, you can apply a No Claims Discount from a car policy to your new van policy – and what’s more, if the worst happens, any work done by their approved repairers comes with a 3-year warranty. They provide UK-based contact centres, which are proving to be a popular move by many companies looking to improve customer service; the Post Office also provides a 24-hour van insurance claims line, so you can even get problems sorted on the way back from a club at 3am. You’re offered European cover with any van insurance policy, for a duration of no more than 30 days – ideal for if you need to deliver goods on the continent. And there’s the usual windscreen protection that comes as standard on most comprehensive insurance policies, whether for vans or not. There are other features available, but they’re all as additional extras – meaning additional cost and paperwork. How can I get a better insurance deal? What very few people realise is that most, if not all, of the Post Office’s features for their van insurance are also provided by other insurers. Indeed, reading the details of the PO’s policy documentation, it becomes apparent that many of their services are actually underwritten or provided by a range of other insurance companies – who also lend their underwriting abilities to other brokers. If you’re trying to get the best cover for the best possible price, the most reliable way is always to use a comparison site. It compares tons of different insurance firms to find the most appropriate van cover for your budget – and when you’ve found a couple of options which appeal, you can read up about what they offer before making a decision. For the absent-minded, key cover might be a big factor in their decision; for drivers with a penchant for off-roading, breakdown cover and windscreen repairs might feature more prominently in their considerations. However, it’s worth noting that many of the aforementioned van insurance add-ons from the Post Office, like legal cover, key replacement and contents insurance, are frequently included as standard when you buy through specialist companies. Therefore, by going straight to an insurer who focuses just on your vehicle and its requirements, you’ll often find you can source a better overall deal. So who should I trust to insure me? Choosing an insurer is always a tricky decision, as your choice can dictate how easy the next twelve months of your life is, especially if you’re accident-prone or are on the road a lot. If in doubt, pick your favourite insurance provider, list all the benefits their policy offers, and use a comparison tool to find cheaper options. Then use an internet search to read up on reviews of the alternative, cheaper company – or, even better, ask friends and family for personal reviews. It might seem like a lot of effort, but if the alternative comes out smelling of roses, you’ve just saved yourself a wedge of money; and if they don’t, try another company or stick with your original – either way, it won’t end up costing you any more cash. 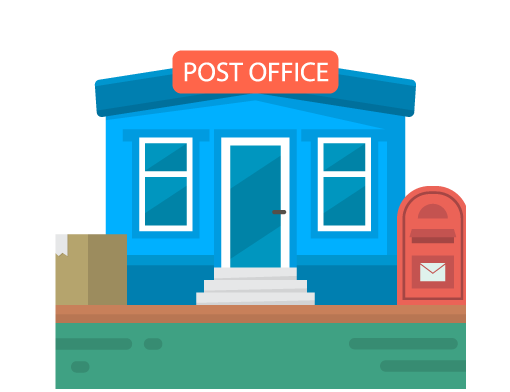 To find fantastic alternatives to Post Office van insurance, along with competitive pricing, fill in our quote form today and you’ll have a range of policies to choose from in minutes. © 2019 Compare Van Insurance. All rights reserved. No 3 Park Mews, Marina Drive, Brixham, Devon, TQ5 9AY, United Kingdom.